Investors have flocked to U.S. Treasuries and bond-related exchange traded funds in a world of negative-yielding sovereign debt. 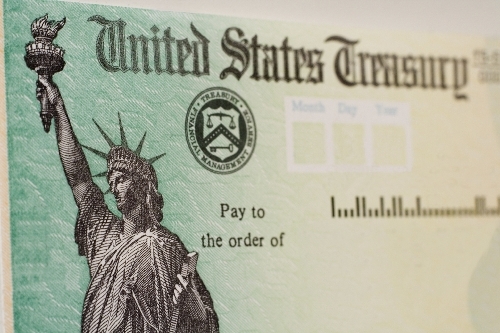 However, with U.S. Treasury yields hovering around three-decade lows, government debt looks pricey and fixed-income investors are now exposed to greater risks. The yield on 10-year Treasury bonds closed below 1.4% for the first time ever earlier this month and has risen to 1.57%. Given the record-low yields, investors may not be receiving enough compensation for the amount of risk they are exposed to. When factoring in inflation, the real yield on 10-year Treasuries is also near its lowest since 1980. Consequently, after government bonds have become so richly valued, it is hard to justify buying into these Treasury bonds. The economy is not spelling out a doom-and-gloom scenario. U.S. economic data has been positive over recent weeks. For instance, the number of those filing for unemployment benefits dipped to a three-month low last week, signalling further improvements in the labor market. The Producer-Price Index just registered its largest climb in a year. Moreover, with the S&P 500 and Dow Jones Industrial Average breaking new highs, the risk-on attitude could also diminish demand for safe-haven assets, like U.S. Treasuries, raising concerns that bonds could be due for a further pullback that would push yields back above 2.0%. Looking ahead, investors will want to keep an eye on the Federal Open Market Committee meeting next week on July 27. Recent Fed funds futures rates showed rising options traders’ expectation for an interest rate hike. Any hint that the Fed sees an improving economy would allow policy makers to raise rates would likely have an immediate negative effect on fixed-income assets.